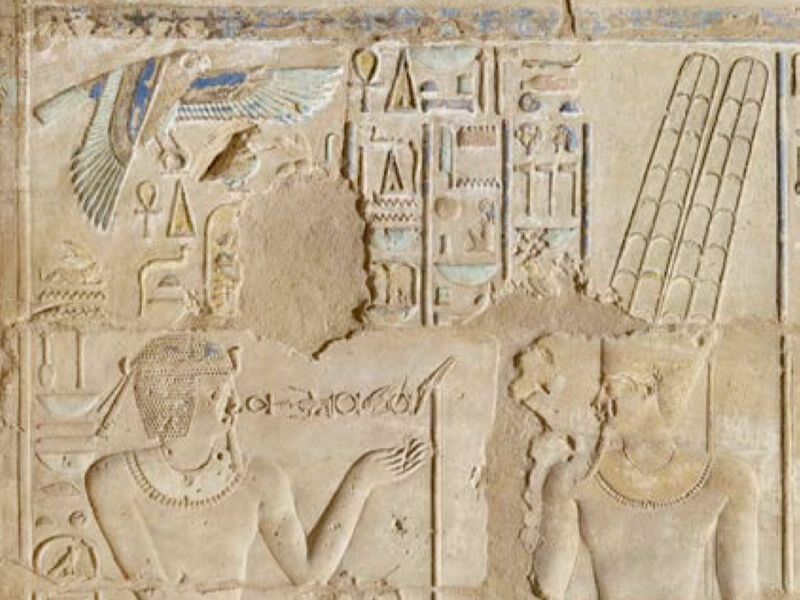 The main sanctuary (SX 5), north wall, first register, first scene (Photo by French-Egyptian Center). 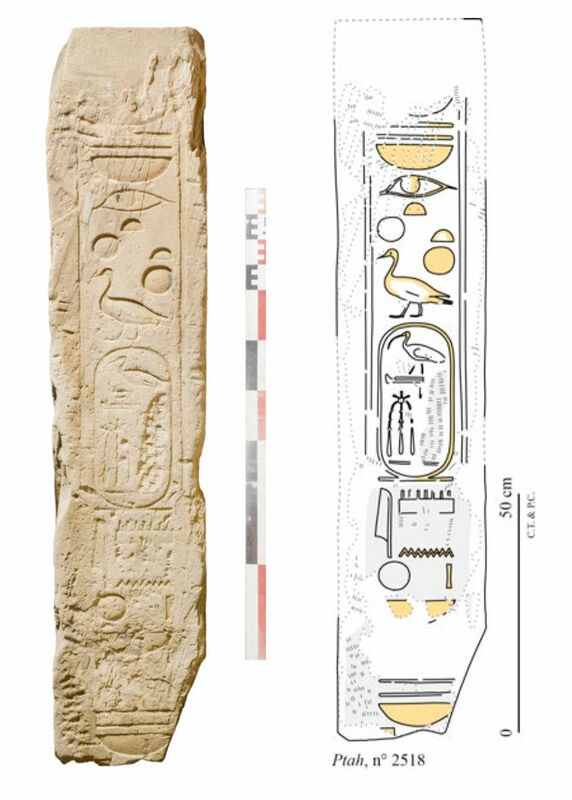 The extensive work of the French-Egyptian Centre for the Study of the Temples of Karnak was devoted to several programs during the 2013-2014 season, including the epigraphic survey of the northern area of the Akh-menu of Tuthmosis III, the survey and study of the inscriptions of the 8th pylon, and the epigraphic documentation complementing the excavations at the temple of Ptah. The epigraphic survey of this area concentrated on the rooms of the “solar complex” and the “northern storerooms”. Orthophotography and facsimile of the eastern doorjamb of the north face of the eighth pylon © CNRS- CFEETK/Ph. Soubias, K. Guadagnini, P. Calassou. 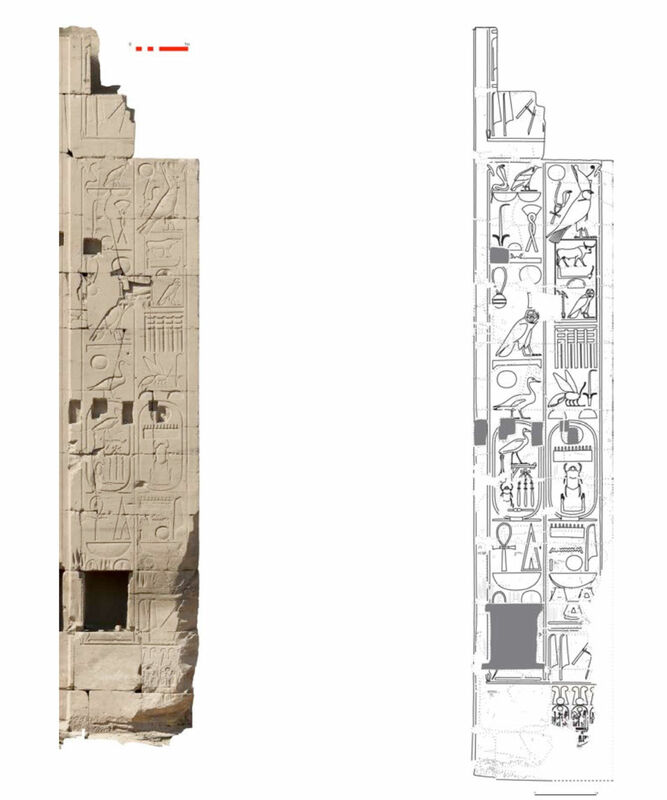 The two sides of the southern block of the threshold of the Ptolemaic Gate C’ © Cnrs-Cfeetk/Ph. Soubias, Chr. Thiers, P. Calassou. 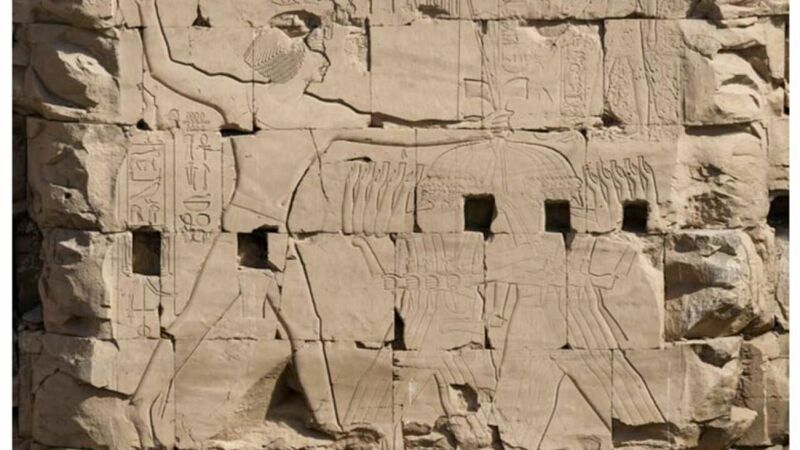 The Tuthmosis III doorjamb © Cnrs-Cfeetk. 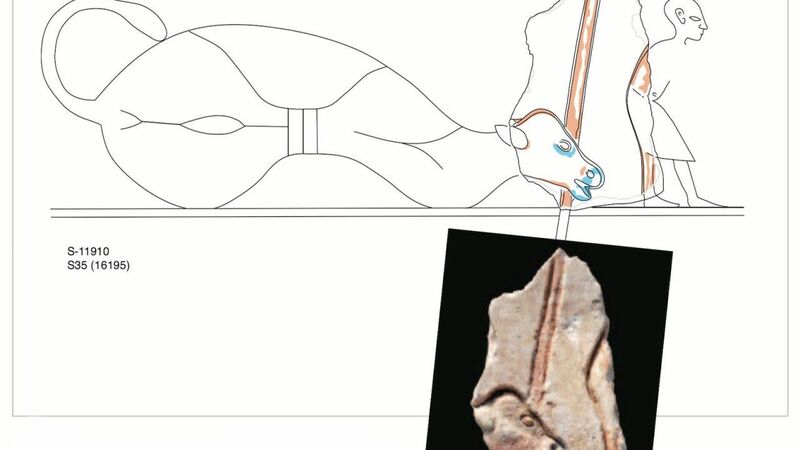 Drawing of the southern wall of the fourth northern storeroom (MN 4) © Cnrs-Cfeetk/P. Calassou. Drawing of the main sanctuary (SX 5), north wall, first register, first scene. Traces of earlier decorative phases (cartouches, god's names etc.) are marked by homogeneous semi-transparent gray patches, without interfering with visual clarity. Damaged areas are thorougly indicated by single-weight dotted outlines, and damage texture is often included, especially when indicating chisel marks caused by intentional vandalism. Basic architectural features, such as deep cuts created within the decorative surface, are visually emphasized by the inclusion of dark gray homogeneous fill. Sébastien Biston-Moulin, Elizabeth Frood – The VIIIth Pylon: pages 7-9. The Ptah Temple area: pages 19-21 and 23-24. 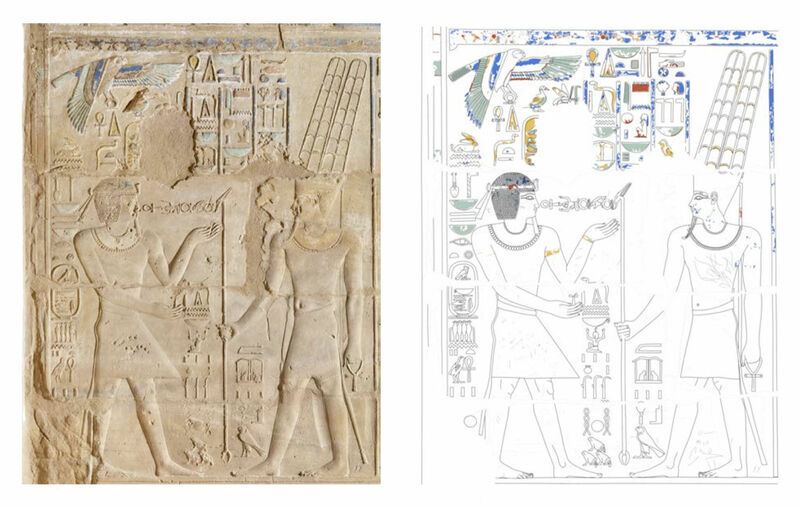 Sébastien Biston-Moulin, Christophe Thiers, Christian Leitz – The central sanctuaries of the Akh-menu and the “northern storerooms”: pages 43-45. For more information on this project and additional information about the many different projects carried out by the French-Egyptian Centre (CFEETK), visit their homepage. 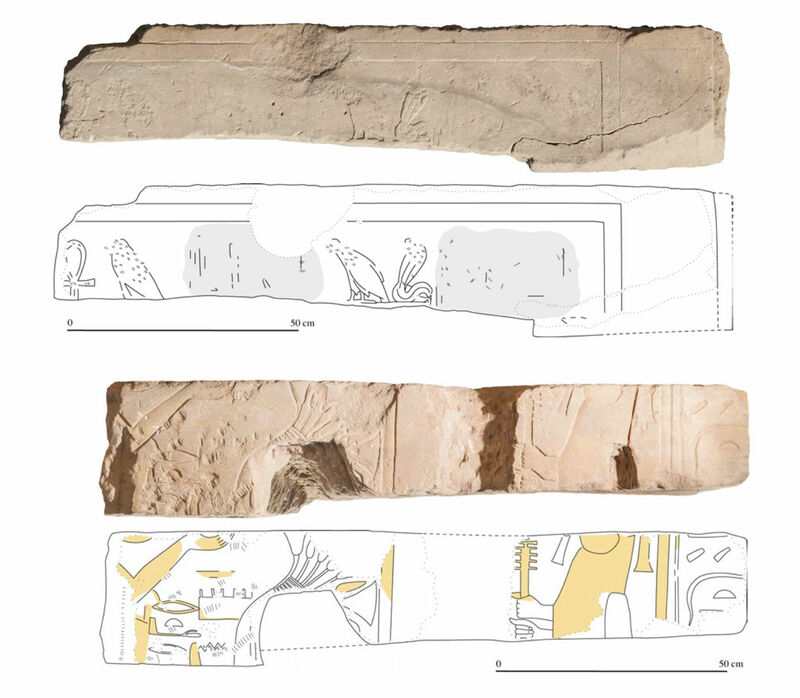 During the 2015 season the French-Egyptian Centre for the Study of the Temples of Karnak continued their epigraphic programs at the 8th Pylon, the Philip Arrhidaeus’ bark-shrine, and the area of the Akh-menu. 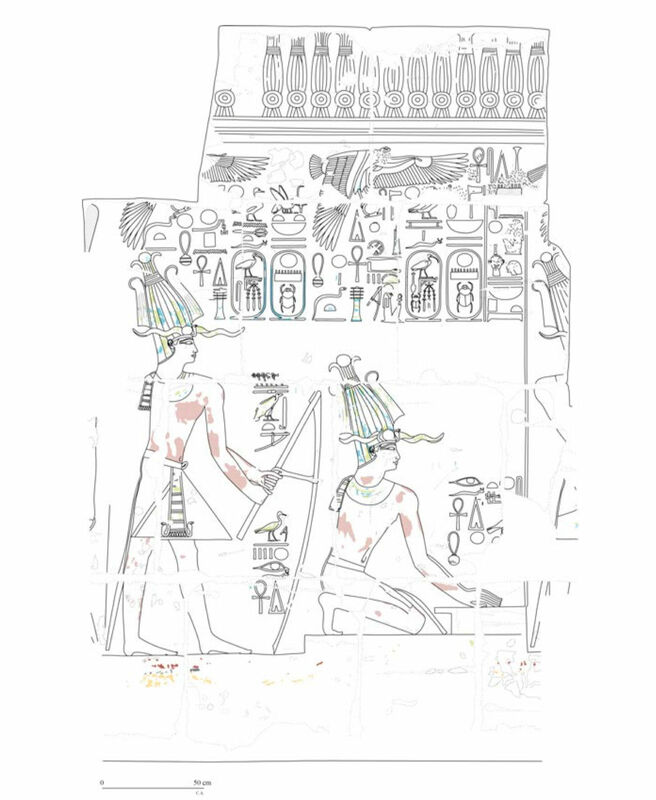 In 2012 the Amarna Project began its excavations at the Great Aten Temple in order to re-study the temple remains, and to clean the site and mark the main building outlines in fresh stonework.